We thought it was time to review where fungi law is currently. With Autumn fully upon us, and a plethora of various understandings being put about, I’ve attempted to summarize (with extensive notes below). The Theft Act 1968 makes it illegal to take fungi or plants from the wild for commercial purposes[*]. But the fines are low enough(£100-300) to be a wrist slap cost-of-doing-business for commercial foragers. The Wildlife and Countryside Act 1981 makes it illegal to pick any rare (schedule 8 red data list) wild plant including fungi[†]. The CPS Guidance lists much stronger penalties, including up to £5k fine per item, six months jailtime, and forfeiture of vehicles used in the act or to transport goods[‡]. The same act makes it illegal to “uproot” any wild plant without authorisation, but there seems to be neither guidance nor history of prosecution for this. Sites of Special Scientific Interest (SSSI) – both of the previous examples apply anywhere in the wild, the Wildlife and Countryside Act also provides extra protection for land designated as SSSI. This makes it an offence on SSSI land to “intentionally or recklessly destroy or damage any of the flora, fauna, or geological or physiographical features by reason of which land is of special interest”[§]. The New Forest has one of the few SSSI designations that lists its fungi population as one of its special interest features. The downside of this is that very few prosecutions have been brought under this part of the act, although the fines up to £20k would make a very useful deterrent. So technically, picking fungi on the New Forest SSSI without authorisation, is completely illegal, but under two less enforced portions of legislation. BUT Picking fungi for any commercial purpose, OR picking rare species for any purpose anywhere are both illegal and realistically arrestable, prosecutable offences. The Forestry Commission byelaws make it an offence to do anything to a plant, and also lists as prohibited for removal “soil, turf, leafmould, moss, peat, gravel, slag, sands or minerals”[**], strangely this seems to omit fungi, but this is because fungi were originally within the definition of “plant”. The loophole was created when taxonomists reclassified fungi to a separate Kingdom. The Wildlife and Countryside Act and other primary legislation solve this with a codicil that defines their use of “plant” as inclusive of “fungi and algae”. The loophole should be closed in the Byelaws. But for taxonomists and pedantry, it ought to be illegal in the FC Byelaws. It is due to the loophole that the FC last year publicly suggested that fungi foraging wasn’t strictly illegal, ignoring illegality under the W&C Act. Oddly enough, The Countryside and Rights of Way Act 2000 (CRoW), is widely perceived to have banned all foraging on the access land it created (not applicable to the Crown Lands); yet, it too has the same loophole, in that it prohibits taking of plants, but never explicitly includes fungi within that definition, and virtually all guidance you will find says that it does! The National Trust Byelaws explicitly prohibit fungi foraging[††], the Wildlife Trusts prohibit on their Nature Reserves, and Epping Forest (whose model of enforcement we hoped to emulate) prohibits “Taking anything”, usefully all inclusive. Natural England, under the Wildlife and Countryside Act, as modified by the NERC Act 2006, has powers to make Byelaws for SSSI land. However, these have yet to be exercised (saving for existing byelaws on certain National Nature Reserves), and only just this year have DEFRA and NE begun a consultation on how they might formulate such Byelaws. This could be used in future to protect the notified features of the New Forest SSSI, which would include fungi, and effectively cover their accidental exclusion from the FC Byelaws. Personal use limit. 1.5kg – This was an amount suggest in FC publicity for many years. It has no legal basis, and came from a misreading of guidance, The Wild Mushroom Picker’s Code of Conduct. The Code suggested that amount for culinary forage as a per foray group total per visit, and should only be done with permission of the land owner/manager. The Code deemed culinary forage as inappropriate on SSSI and/or National Nature Reserves. The New Forest is both. The supposed personal limit is moot and was never applicable, neither legally nor in guidance, on the Crown Lands, the New Forest SSSI. The appropriate limit is 0. I would prefer a complete ban on the New Forest SSSI in recognition of the precious, delicate and under pressure habitat, that should be protected, not just by on paper designations. Foragers can go elsewhere, but our flora and fauna can’t. Those pretending they care for the environment, but arguing their entitlement to its harvest, regardless of its protections, are raiding the larder of a burning house. That said, in one stakeholder meeting I suggested a practical measure for enforcement that would let those genuinely taking a small amount for personal use off the hook, whatever you could comfortably hold within your two cupped hands, surely enough for an omelette without waste. The Friends of the New Forest support the Forestry Commission’s “Look, Don’t Pick” policy for the New Forest SSSI under their stewardship. We would like to see the FC take a prosecution for picking of Red Data List species, which carries strong penalties capable of putting off commercial foragers. The Theft Act 1968 Section 4 “Property”. (3) A person who picks mushrooms growing wild on any land, or who picks flowers, fruit or foliage from a plant growing wild on any land, does not (although not in possession of the land) steal what he picks, unless he does it for reward or for sale or other commercial purpose. For purposes of this subsection “mushroom” includes any fungus, and “plant” includes any shrub or tree. This allows foraging activities for purely personal not any commercial use. Commercial use would include resale, but could be applied to those who run commercial foraging forays without permission of the landowner. (3)Notwithstanding anything in subsection (1), a person shall not be guilty of an offence by reason of any act made unlawful by that subsection if he shows that the act was an incidental result of a lawful operation and could not reasonably have been avoided. [‡] The Crown Prosecution Service does not seem interested in the SSSI related offences, their guidance on Wildlife Offences focusses on more straightforward criminality, mostly pertaining to offences in Sections 9 & 13. All offences under Part I WCA 1981 are summary only, except for offences under sections 14, 19ZA(7) and (8) which are either way. …. Most offences are punishable on summary conviction by six month’s imprisonment and/or by a maximum fine of £5,000 (level 5). Where an offence is committed in respect of more than one bird, nest, egg etc the maximum fine shall be determined as if the person had been convicted of a separate offence in respect of each such item. See Section 21(5) WCA 1981. Offences under section 14, 14A and 19 XB(4) are punishable on conviction on indictment to a term not exceeding two years imprisonment and/or a fine or both. Wherever appropriate, courts should be reminded of their power to make such orders. Under section 21(6)(a) WCA 1981 a court shall, following conviction for such an offence, order the forfeiture of any bird, egg, animal, plant etc in respect of which the offence was committed. Under s.21 (6) b a court may in the same circumstances order the forfeiture of any vehicle, animal, weapon or other thing used to commit the offence found in the offender’s possession. Forfeiture of a vehicle is often likely to be an effective means of deterring repeat offences relating, for example, to rare birds and eggs as well as of incapacitating an offender’s future ability to conduct such activities. …. The Forfeiture guidelines are intriguing, adding a nice deterrent that in addition to the heavy fines for taking or selling Schedule 8 species, the vehicles used may be forfeited. is guilty of an offence and is liable on summary conviction to a fine not exceeding £20,000 or on conviction on indictment to a fine. Natural England is the statutory body which determines which features, flora and fauna are key to any given SSSI, these are called notified features as NE, when they designate a SSSI, are required to notify landowners of their obligations to the SSSI. On SSSI’s intentionally or recklessly destroying or damaging flora or fauna by reason of which land is of special interest is an offence under the Wildlife and Countryside Act 1981 Section 28 (P). Whether or not the fungi harvested is one of the notified species, the ancillary consequences of the activity of foraging, including trampling and disturbance may be covered by this as well. Hefty penalties invoked here may give prosecutions considerable bite. The Forestry Commission byelaws list prohibited substances for removal which includes “plants” which may ambiguously refer to fungi (if we take into account inclusive definitions in Primary Legislation). It may be worth removing this ambiguity by either seeking an inclusive interpretation of the existing byelaw – after all, it is likely that the original byelaws were drafted before fungi were reclassified, and it seems stingy when your list includes soil, turf, leafmold, moss and peat, to insist that plant does not include fungi. Otherwise we could petition the FC to amend the byelaw, this is a long game move, though, and would take as much as five to ten years. 2. (a) No unauthorised person shall dig, cut or take turf, sods, gravel, sand, clay or any other substance on or from Trust Property. (b) No unauthorised person shall dig up or remove, cut, fell, pluck or injure any flowers, plants, fungi, moss, ferns, shrubs, trees or other vegetation growing on Trust Property or remove any seeds thereof or injure any grass or climb any tree. The National Trust Byelaws are quite clear, and here in the New Forest they have had to be vocal as they’ve had incidents, such as when their own organized educational fungi walk on one of the Northern Commons under their managagement could find none as the area had been stripped by commercial foragers. Here we welcome guest posts on night cycling and signs to educate the public. These presentments were made by individuals to the Verderers, not on behalf of the Friends of the New Forest, and which they have kindly given us permission to share here. The first is from Alison Tilbury, Vice chairman of Denny Lodge Parish Council, who spoke as a representative of the Parish. We wish to ask whether the Verderers can initiate some control over the increasing numbers of nightime cyclists that are riding over the open forest in groups. Most of these cyclists wear a very bright headlight which although may be effective for their riding causes disturbance to forest stock. With the clocks going back in October we feel that now is the time that education is put in place to put a stop to this nightime activity. This would ensure that the forest has a time to rest and recover from the increasing pressures of all the daytime activities that take place. The information notices in the car parks and leaflets at various venues are not sufficiently effective. Many people do not bother to read them. They are not seen by the large number of visitors passing through, who stop on the verges and in lay-bys to look at the ponies and encourage them over to their cars to photograph, touch and feed them. I frequently encounter this behaviour as I drive across the Forest – in particular on the B3055 Sway to Brockenhurst road on which I drive twice a day, every day. It is getting worse every year as visitor numbers increase. This year has been particularly bad. On advising them, politely, that what they are doing is not a good idea and why, I receive mixed responses but invariably I am told that “they did not know that it was wrong” and asked “where are the signs to tell them this”? With – appropriate, instructional signs at Forest entrances they would have no excuse for their ignorance and could not justifiably claim that they “did not know” . It may be mainly locals who kill the ponies but it is certainly, without doubt, visitors who entice them to the roads. In conclusion, in my opinion such signs are vital and there is no valid reason for refusal to erect them. Without them livestock is being put at increased risk I which I find inexcusable! Please, let common sense prevail. I really to not have the time or inclination to have to keep stopping and talking to these people. We should note that these views do not necessarily reflect the positions taken by the Friends of the New Forest. We share them here to stimulate debate, and to acknowledge the passion, care and time taken by the presenters, and thank them for their efforts. Our policies against too much urbanizing of the Forest, often puts us in the position of arguing against too many signs, but certainly the nuances of content, effectiveness, and situation are part of that as an ongoing discussion. We are not against effective efforts to educate the public about how to care for and respect the Forest. This month’s announcements include warnings about dumping apples and garden waste on the Forest as a hazard to the livestock, the upcoming Verderers Election, positive changes to the HLS Verderers Grazing Scheme subsidy, and the continuing appointment of the NFNPA Verderer. The Verderers regularly draw attention to the problems that result from the public feeding ponies on the Forest. At this time of year, there is often a glut of apples. I would like to draw people’s attention to the particular dangers associated with dumping apples on the Forest. Apples in quantity, such as a bag of windfalls, can cause colic in horses. A whole apple can cause choking. Leaving apples close to the roadside attracts animals onto the public highway and into danger from passing vehicles. Dumping garden waste on the Open Forest also presents a hazard to stock as many garden plants are toxic. In addition, it constitutes fly tipping. We ask residents and those undertaking gardening and landscaping to please dispose of their waste responsibly – at the local tip please, not the Forest. The Election of two Verderers, will be held on Friday, 30th November, when the terms of office of Dionis Macnair and David Readhead come to an end. The deadline for registering to vote at our election was Monday, the day before yesterday. However, as we want to give as many people as possible the opportunity to vote, registration forms will continue to be accepted until this Friday 21st September. The Draft Electoral Register has to be finalised in time for it to be sent out to the public offices for public viewing from Monday 1st October. The fact that you may have been registered for previous elections does not count, and therefore, to be able to vote this year, you must register now. There are some spare registration forms on the table at the front of the Court. I hope we will see a strong turnout at the election and I ask all those present to help spread the word so that as many people as possible are able to vote. I very much hope the press will also help by giving publicity to this important event. For anyone wishing to stand for election, the deadline for the delivery of nomination papers is Noon on Tuesday 6th November and I will issue a reminder at the October Court. Anyone requiring further information, should contact the Verderers’ Office, or the Office of the Returning Officer, Mrs Rachel Brooks at the Under Sheriff’s Office in Romsey. The VGS Committee & the Court of Verderers have agreed to amend the Verderers Grazing Scheme Livestock Unit rates payable in December 2019. As the 2018 application forms have already been returned for payments due this December, these changes cannot be implemented until 2019. Application forms will be sent out next February. The Court felt it is important to let VGS members know of these changes before the coming winter as it may impact on their stocking level decisions. The change to Livestock Unit (LU) rates allows the VGS to increase the incentive for Registered New Forest Mares and reduce the incentive for large numbers of cattle and non-registered equines. The overall pot of money remains the same and the result will be that more members will gain than lose. No Marking Fee return for any other female equines (including donkeys). Geldings are already excluded. Copies of the amended VGS terms and conditions are available on the table at the front of the Court. We are pleased to announce that Cllr Edward Heron’s term of office as the New Forest National Park’s Appointed Verderer, has been extended for a further year. We particularly welcome renewed statements on perennial issues such as mostly well meaning but entirely misguided dumping of green waste on the Forest in the mistaken notion that it helps feed the Forest livestock. There is no positive in this, rotting greenwaste can poison livestock, and drawing livestock to roadside and other amenity locations endangers them and disrupts natural feeding patterns. Regulated supplementary feeding is agreed at locations away from public interaction, and even this practice is questionably and may soon be phased out or reduced. The livestock are there to graze the Forest, and the habitat produced by their grazing and trampling patterns is a key part of the biodiversity of the Forest. Along side this we also welcome changes to Commoners subsidy which should reward the stewardship provided by their livestock, but not be entirely based on headcount. capping the cattle subsidy may go some way to address areas which have possibly been over poached. We thank the Verderers for their kind permission to occasionally include their announcements as guest posts here, as we hope we can help highlight the vital role they play on the Forest. The World Health Organization named Southampton amongst the worst cities for air pollution in UK. Here’s our response to the consultation run by NFDC and Southampton on Southampton’s Clean Air Zone. From 1 June – 13 September 2018 NFDC and Southampton have run a consultation on Southampton’s Clean Air Zone. As is often the case, we’ve sidestepped the constraints of the online survey, which narrowly addressed a congestion charge type proposal, and prompted levels of agree / disagree to various elements. To its credit, the survey did take pains to explain its proposals within the survey (unlike the two recent National Park Recreation surveys). We did feel the need to comment beyond the proposals in the survey, particularly on the role of the New Forest District Council. Whilst clearly the policies and conditions which have triggered this Clean Air Zone consultation demand a pro forma consideration of options which include the DEFRA Charging Clean Air Zone classes and how measures related to the proposed options could be implemented – this unhelpfully limits discussion of the clean air issue to vehicle journeys that may be limited or mined for potential mitigation by a congestion charging model. By structuring this consultation almost entirely around these narrow solutions, and there circumscribing response to levels of approval or disapproval, the consultation is skewed towards a rubber stamping exercise. Southampton should also be considering how other industrial sources of pollution, including port activities and cruise liners running engines for generation in dock. Broadly speaking we’d favour measures that Southampton might take, including the charging options in the consultation, but we’d consider further comment on this outside our remit. However, New Forest District Council should have a broader scope in this, as many of their plans to allow development in the District will negatively impact air quality by increasing housing provision with its influx of cars, and allowing growth and creation of ports with an obvious uptick of HGV traffic. Neither the NFDC, nor Southampton are taking into account their duties to the National Park, which should garner higher levels of protection. There needs to be joined up thinking here. To have this consultation about air quality at the local city and district level, and a Government launching its 25 Year Environment Plan, promising greater protection to National Parks and both designated and undesignated habitats, is well and good, BUT to have that same Government dictating housing targets to the District and Park where more strategic planning should abide to achieve the Park’s Statutory aims, is senseless and inconsistent. NFDC plans for housing targets set to 10,500 homes in the next ten years, including the Fawley Development proposed to provide 1500 homes (within NFDC and the National Park) at the bottom of the A326, as well as the ongoing developments at the ports at Eling, Marchwood Military, and the ABP proposal for a deepwater container port at Dibden Bay, all of which the NFDC local plan welcomes with no quibbles for impacts. 10,500 new homes will produce a minimum of 13,650 more cars in the district, each making daily journeys. The growth and establishment of a new port will have a significant impact on HGV movements. All of this severely compromising the A326, with knock ons to the A35 and other local trunk roads. The additional traffic on the already congested A326 would lead to demand for extending dual carriage way for much of its length, however, as NFDC have allowed a hard edge of development against the road from Marchwood to Blackfield, the only room for widening would encroach onto the Crown Lands and the New Forest SSSI which should be unacceptable. NFDC should not duck their responsibilities for clean air by limiting, as this consultation does, their part in it to merely improving the stretch from Rushington to Redbridge. Their responsibility and remit is wider, and they should ensure their plans do not damage or undo any strides made in the narrow tranche of congestion charge consideration within this initiative. The 2018 RMS Survey Proposals drop important Actions from the Current Recreation Management Strategy 2010-2030. We discuss what we’d want kept, and propose other useful key projects. All the partner organizations were part of the extensive consultation that produced the existing strategy, which they would have had substantial say in and adoption. The objectives of the existing Strategy are “owned” by definition by the National Park which includes that Strategy as one of its core documents. Whilst it’s true that the Park Authority has limited direct responsibilities and powers, it’s incumbent on them to use their influence on those organizations that do, and there is a legal obligation for those bodies to listen and act accordingly. One of the reasons that we find that the new proposals are not a substantial improvement over the existing RMS is that it leaves out specified actions which we continue to support. In some instances there are references to these in the survey, but passing or implied inclusion of these actions is insufficient as they should be explicitly included. Here is a non-exhaustive list of actions which should be considered for stated inclusion, with some suggestion for amendment or extension into new projects. 5.3.5 Develop a National Park Ranger Service which is responsive to the needs of the Forest as they emerge, and facilitate the co-ordination of existing ranger services within the National Park. 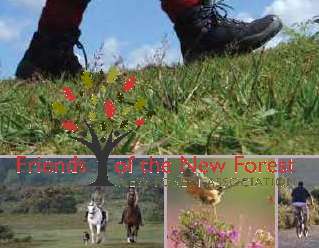 Consider establishing a Young Friends of the New Forest Group to involve and engage young people more in the area. Credible enforcement of any rules developed, or even the existing byelaws, would require an investment in personnel. We would want to see this ambassadorial role extended to include some elements of enforcement. We cannot necessarily expect either FC Keepers or Rangers, or NPA Rangers to fulfil the role of enforcement. It may be that a new role modelled after the Foreign style “Park Ranger”, that is with some police training and enforcement powers should be considered. There needs to be enough of a perceived enforcement presence, whether directly from beats of such rangers, or the extended eyes and ears of the combined other Rangers/Keepers/Agisters network for Park users to sense that they could be seen or challenged for inappropriate or illegal behaviour. We recognize that this would require funding, but providing this service would shore up any funding plans that require charging which itself would need enforcement to be effective. 5.9.1 Outside the National Park, work in partnership with other Authorities to improve recreational provision that provides for their community needs (thereby helping to relieve pressure on the New Forest Special Area of Conservation). Ensure that recreation provision is at the forefront of planning for major urban expansion within a 20km radius beyond the boundary of the New Forest. 5.9.2 In partnership with neighbouring authorities, actively support their search to identify and implement opportunities for new Country Parks or similar and advocate the inclusion of these aspirations in the local development frameworks and core strategies of neighbouring authorities. 5.9.1 is not indicated in any way by the new proposals. In light of NFDC’s current draft local plan targeting 10,500 houses over 10 years, the commensurate surge in local population using the Forest, and NFDC’s low quality standards for Suitable Alternate Natural Greenspace (proposal to use degraded arable rather than setting a standard to offer land restored to a quality commensurate with the protected habitats for which it is meant to mitigate), this is clearly an important action. 5.9.2 could be construed to have a passing mention as an ambition Objective 4’s statement and glancing mention in Objective 5 Funding, but it is not featured amongst the Actions. Given that infrastructure needs may demand the wholesale destruction of the nearby habitat of Dibden Bay along with greater stress on local transport infrastructure, perhaps it would be reasonable to suggest that the National interest would demand a substantial mitigation which perhaps could include compulsory purchase of sufficient well placed land to fulfil the ambitions for Country Parks that would offset damage and act as preferred recreation sites. 5.6.1 Undertake a review of recreational and visitor facilities in the National Park. 6.4.1 Audit the provision of camping in the National Park and maintain the unique experience the New Forest offers; sustain the significant contribution it makes to the local economy whilst ensuring that campsite management does not adversely damage the Park’s special qualities. 6.4.2 Work with partners to identify potential alternative sites to which the phased relocation of the more damaging campsites (e.g. Hollands Wood, Longbeech and Denny Wood) might be achieved whilst providing a similar quality of camping experience. It must be recognised the difficulties in finding alternative sites; many issues will have to be taken into consideration, including the local economy, transport links, access to facilities (e.g. villages, shops) and the camping experience. .. monitoring the condition and operation of the sites on designated areas.6.4.4 Explore opportunities to develop campsites as substitutes to those displaced from the commonable lands as a valuable form of farm and business diversification in robust locations. 6.4.5 Provide further guidance on the future management of campsites to reduce the dependency on car use, for example, by encouraging campers to leave their cars on site whilst visiting the National Park and continuing to promote alternatives to the private car for travel around the Forest. 5.6.1, 5.6.3 and 6.4.1 Audit of parking and camping provisions and facilities – a very straightforward achievable bit of work, unfortunately not yet done eight years later. Below we have proposed new projects to address campsite issues: “Bring temporary campsites under a regimen of consistent standards and controls” and “Close Hollands Wood, Denny Wood and Longbeech Campsites”. Both of these would augment the goal in Policy DP18 “enable the removal of pitches from sensitive areas by the relocation of part of a site to a less sensitive area”. c) the area where pitches or other facilities are removed from would be fully restored to an appropriate New Forest landscape, and any existing use rights are relinquished. This is a non-exhaustive list of possible projects that would be welcome ways of delivering the aspirations which should have been more explicitly spelled out in the survey document. This would pool resources to staff and deliver a focus for New Forest research. It would maintain a catalogue/concordance of extant research, coordinate research efforts from academic institutions, quality check citizen science, and encourage research to provide evidentiary base for spatial strategy, recreation and livestock impacts on habitat, climate change or any other key criteria for future decision making. Mitigation regimes use formula developed by Natural England for Thames Basin Heaths, which does not scale appropriately to the Forest because a) the Forest is much richer in features and biodiversity at threat and should cost developers more b) the morphology of the Forest is different: Thames Basin Heaths spatially has greater opportunity for alternative spaces, where the Forest, surrounded, creates more of a siege situation (with only one defence to the West at Moors Valley, and plans to the East eternally pipe dreamed). In the past some planning regimes managed on a more regional basis was able to reduce pressure in and around the Forest. Both the promises of the government’s 25 Year Environment Plan and its subsequent upcoming review of National Parks should be an opportunity to put the case again. Recreation pressure on the Forest is directly affected by population proximity, housing targets within and on the borders of the Park. If the park and its borders cannot be afforded a sufficient buffer zone that retains its own green belt with sufficient alternative natural greenspace, then the government’s promise of increased protection to our parks and habitats is hollow. The Draft Action proposals have relegated engagement with other authorities to mitigation (which as already noted is undercooked), housing targets with direct impact on Forest recreation are relevant under Section 62 Duties. Both these camping projects (see below) could help address the obligation under the 2001 SAC Management plan to relocate three FC Campsites (Five year priority 6.4.2 of RMS 2010). Temporary campsite provision in and around the Forest should provide a consistent minimal standard and be subject to appropriate licensing. This could lead to a Charter, or even a scheme similar to “New Forest Marque” for campsites to assure visitors of a Park led standard of quality, and perhaps, oversight. It may also be appropriate to encourage some small pop-up sites as alternative temporary use of backup land during the peak tourist summer season, which could serve as an additional income for commoning. Close Hollands Wood, Denny Wood and Longbeech Campsites. The Natural England’s SAC Management Plan for the New Forest 2001 (page 30, Part 3: General Prescriptions) gave “Unfavourable Declining” condition assessments to Hollands Wood, Denny Wood and Longbeech due to the presence and management of the campsites. The Campsite Survey (New Forest Camp site Baseline Survey: Final Report (Cox, Jonathan: July 2010: Lyndhurst: New Forest Association)) showed these have less than half the canopy they ought. This Authority’s Landscape Action Plan doesn’t even have the word campsite in it, let alone a consideration of their impact. The NPA need to address this remiss approach. The 2018 survey proposals consider 25 “Actions” spread over 7 “Objectives”. For the most part these are bland statements of guiding principles, but offer few concrete strategic steps to manage recreation. It is difficult to formulate a response to such an underwhelming document. On their face, it is difficult to quibble with the stated actions they vary from statements of the obvious (apply enforcement to illegal recreation activities) to standard operational concerns (find funding and consider charging the beneficiaries of recreation), but there is almost no substance (much talk of developing mechanisms and techniques with no useful specificity). Much of it is not well written, eschews plain English, and may be left to so much interpretation that opposing views may inaccurately be imposed on its meaning. It may seem pedantic or churlish to point out these flaws in the presence of obvious good intention, but this is meant to form a core policy document of a National Park Authority, it should include clearly stated proposals. The main problem is not the writing, or the bland proposals, but what has been left out, either dropped from the previous RMS Strategy, lost through omission by vagueness, or simply not considered. These include Management actions meant to fulfil the obligations of the SAC Management Plan. What follows here is an in depth critique including the full text of the proposed Objectives/Actions for reference, we have detailed omitted or alternative actions, and our summary remarks and conclusions are available separately. By and large, the stated Objectives are relatively sound, having antecedents in the existing 2010 Strategy. The descriptions of each are at the heart of the good intentions of this revised Strategy, yet they’re not even up for discussion, only the proposed “Actions” are offered up for evaluation. There has been a truly odd decision in the presentation of these core descriptions in the online survey, by default they are hidden, requiring respondents to manually “unhide” each. Additionally a Draft Criteria for Judging Recreation Facilities has been published to the Managing Recreation web page but no comment is sought for this in the survey. ensuring recreation is sustainable, wherever it takes placeObjective 1: Convey the things that make the New Forest special to both visitors and local people in more consistent and effective ways, so that they understand the importance of making responsible recreation choices.This objective acknowledges that the level of awareness of the New Forest’s special qualities, and their sensitivity, is currently insufficient. 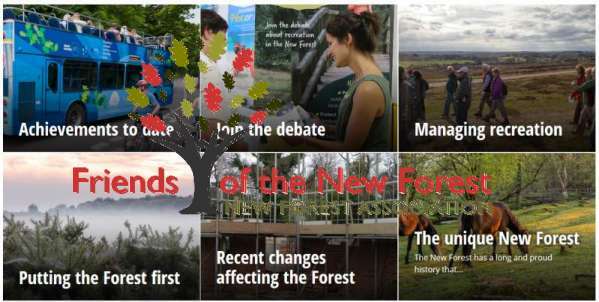 People who enjoy and come to understand the New Forest are much more likely to value and want to protect it, so it is important to work together in a range of ways to create a greater sense of ownership, respect and responsibility that ensures the Forest will retain its unique features into the future. The work needs to be tailored to resonate with the varying motivations, values and interests of different audiences. We fully support education initiatives. These objectives and actions are important and in many ways already in hand. We believe a change of emphasis from “the special qualities of a National Park” to “delicate habitats of a National Nature Reserve, working farm and forest” would highlight the need to protect, especially for those for whom “Park” is an urban greenspace for play. Objective 2: Address significant and/or widespread negative impacts caused by recreation in the most appropriate, proportionate and effective ways. This objective recognises that there are many different ways to encourage responsible recreation and to reduce or displace activities that might impact negatively on the New Forest or other people. It also emphasises the shared responsibility for protecting the Forest between relevant organisations and user groups. There is already broad recognition of the main issues, and some good initiatives are in place; but more work is needed to share best practice and jointly explore new ways to achieve the desired results. Responsible recreation is an admirable goal. To some extent it should follow from education, a sense of respect, ownership, and as is suggested here “shared responsibility” for protection of the Forest. 2.1. “To help address a range of different issues and aid joint working,” is an unhelpful word salad and an unnecessary preamble to “develop a ‘toolkit’ of different ways to influence recreational behaviour.” which is vague enough on its own, but at least means: “develop ways to influence recreational behaviour” which is what I hope you’re trying to say. 2.2. Isn’t “Through working groups with appropriate terms of reference or other joint initiatives involving local organisations and user groups, identify and implement the most effective and long lasting strategies to address significant and widespread negative impacts caused by recreation.” exactly what this strategy is meant to be doing? Is one of the “Actions” genuinely for this Strategy to develop itself? The result apparently is to reduce all the ills of the Forest as listed as “Examples of possible delivery”. How that magically transpires is not specified. 2.3. “In support of other techniques”, which other techniques? If you can’t specify them, why mention them? “use appropriate and proportionate enforcement activities to deter illegal recreation-related activities.” Is it necessary to specify, when deterring illegal activities, use of appropriate and proportionate enforcement? Are you suggesting that, for illegal recreation activities disproportionate inappropriate enforcement is a known issue? “Provide enforcement to stop illegal activities.” or “Enforce law” more apt / readable? 2.4. An initiative to better support, increase “on the ground” presence of staff with ambassador / education and most importantly some level of enforcement power would be welcome. If a Forest user feels that they may encounter Forest Rangers on perhaps one out of ten excursions (or whatever magic number that would inspire the public to feel that they are likely to be occasionally, even with the mildest touch, “policed”) The lofty aspiration perhaps beyond the grasp of current funding/enforcement models might be a Parks Service in the style of Foreign National Parks, like the US whose Rangers have constabulary powers, local wildlife and habitat keeping, and education expertise. 2.5. Again, managing organized activities and larger events, whether through permit systems or accompanied by Safety Advisory Group involvement (in non permit related venues) would require some level of enforcement to either insure that permit or safety stipulations were observed, or to confront those flaunting whatever system is in place. Additionally, it may be desirable, as part of wider road initiatives targeting the fenced and gridded roads to work towards powers for local Authorities to have greater say so in the use of those roads, which may lead to permits required for high capacity road using events. The New Forest already helps people to maintain and improve their health and wellbeing, it provides training and employment opportunities and is an ‘outdoor classroom’ from which we can all learn. However, some people may feel excluded and others do not recognise the value of the Forest (to themselves, the wider population or to future generations). This in turn risks alienating important sectors of society and failing to make the most of the ‘natural health service’ that is available. This objective is therefore about targeted work with specific groups of people at locations that are well-suited for bespoke interventions or activities. This objective is made more convoluted and possibly misleading by the fact that it makes much of its language vague in that obligatory dance around avoiding using a term that might offend people with disabilities. In doing so, they may have been equally patronizing, offensive, and so unspecific that anyone with a beef against “barriers” of any description, might feel they could be catered to. Additionally, there is an attempt to lump issues including “youth” which surely belong under education, and the general health of outdoor recreation, which in no way demands to be on the Forest (it is not an obligation for the Forest to provide). Conflating these issues is not helpful to any of them. Society has an obligation to level the playing field to be more inclusive. How this practically extends to the Forest may not, or cannot remove all “barriers”. Replacing styles with kissing gates, or other manageable solutions, is likely within the purview, but paving paths, providing more pedestrian/equestrian/wheelchair friendly bridges is perhaps not. The chief problem with this section is it doesn’t confront the need to have that conversation, merely hinting at that below referencing “appropriate changes”, but with no criteria for what is appropriate. It would be disingenuous to suggest that every inch of access land on the Forest could be made accessible, nor do we think that any user group so demands. 3.1. This point is more about using some recreation opportunities to promote education for youth, and belongs in Objective 1. 3.2. When discussing schemes to promote recreational activity, whether part of a health benefit scheme or not, the key aspect we would want to manage is where this takes place. This point belongs in Objective 4. Objective 4: Achieve a net gain for the New Forest’s working and natural landscape and for the recreational experience by influencing where recreation takes place.This objective is primarily about geographical distribution of recreation and associated facilities; there are also links with earlier objectives with respect to specific sites where people are provided with information. An holistic, long-term vision and a short-term plan for agreed gateways, key sites and core routes is needed (within and beyond the National Park). Only by taking this ‘spatial approach’ can we be sure to attract people to the most appropriate sites and reduce the impact on the more sensitive areas and thereby protect the special qualities. By using this approach, significant net benefits should be achieved. Desirable changes will vary considerably: from ‘easy wins’ such as the provision of additional information through local information points, through changes to the location of car parking provision (about which a range of views is likely to be expressed), to ambitions for new country parks outside the national park boundary that may take many years to come to fruition. b) Key sites: agreed popular sites for recreation such as country parks, wild play sites, campsites and Forest locations with facilities such as larger car parks, visitor information and toilet facilities. c) Core routes: walking, horse riding and cycling routes (on and off road) including sustainable travel options (walking, cycling or public transport from where people live). Spatial strategy is at the heart of how we can actually influence recreation, which is why we have continually called for a review of recreation infrastructure since the inception of the Park, and nominated it as one of three key priority projects in our response to last year’s RMS call for views. We strongly support “ambitions for new country parks outside the NP boundary” although this is given only a passing reference in the deliverables for action 4.2. When discussing key access points, it is worth noting that RMS partner, NFDC took the extremely short sighted decision to close the visitor information centre in Lyndhurst. 4.4. Implement the programme as resources allow, adapting and reassessing individual elements in the light of monitoring. Ensure that people park in the car parks and not on the verges, and use the sites and routes provided. 4.1. Simply summarizes the key notion that “where” is one of the key tools at our disposal for management of Recreation. This is the crux of what we support. 4.2 Here we have one of the few concrete proposals, and it gibes well with the new spatial strategy for recreation infrastructure which we have proposed and would support. However, by lumbering the project with a year timeframe, which would limit decision making to whatever data is to hand or can be cobbled together within that time, it would inevitably result in an infrastructure just as arbitrary as the one created when the Forest was fenced and gridded half a century ago. Given that within the current RMS, five-year action 5.6.3., the very straightforward project to audit car parking provision within the National Park has not been undertaken within eight years, some scepticism arises as to how this and all other relevant data may be achieved. There is a further disconnect in not folding in the longer term goals of Objective 6 for data and evidence, and the notion that a spatial strategy should be achieved by public consultation rather than a basic evidence based consideration of the existing habitat and its pressures. 4.3. Merely posits implementing the half-baked brainchild of 4.2. 4.4. Again an instance of presuming the resolution of the list of “Examples of possible delivery”. Objective 5: Increase the level of funding available for recreation management so that it is sufficient to address both existing and upcoming needs.This objective recognises that resources are limited and that some aspirations for improved management of recreation can only be achieved if additional funds can be found. For example, car park maintenance could occur more regularly and more rangers could be deployed across the National Park if additional funding can be found. New recreation sites such as country parks would require major capital funding and business plans which ensure they are sustainable financially. It is both good that a forward strategy considers funding sources for implementation, but also sad that certain elements of basic management including enforcement and education are no longer guaranteed products of the public purse despite their universal benefit (this is not leveled as a criticism of the proposal, but an observation of the situation this objective must address). We do find a disconnect between a Government touting a 25 year Environment plan including promises of greater support and protection for habitats and National Parks, but not offering the cash to ensure these goals may be met. 5.2. Mitigation schemes are key in and around the Forest, but sadly they need to be drastically redesigned to fit the Forest. Using the Natural England work at Thames Basin Heaths critically undervalues our much richer and under pressure habitat. This is why we proposed a project to make mitigation for development in and near the Forest fit for purpose. 5.3. We welcome allowing for the possibility of charging Forest users, but this should be stated more clearly. If the charging model is adopted, there would likely be backlash, but a sound rationale should be developed to justify this move. A more specific view of what this would fund (enforcement, education, infrastructure maintenance etc) would make the value of charging clearer. 5.4. We outright reject the notion that “where these would benefit the public and reduce (or not increase) pressure on nearby sensitive areas.” could result in the England Coast Path, which under current proposals only increases pressure on our most disturbance sensitive highly designated Coastal habitats. Objective 6: Collate data and evidence to help inform the ongoing management of recreationThere is ample evidence of the benefits of quiet outdoor recreation to our health and wellbeing. It is also clear that people sometimes impact in negative ways on each other, on sensitive wildlife and on important aspects of the working New Forest. The actions in this strategy can and should therefore be progressed. However, more data and evidence would help target resources more effectively and efficiently, clarify trends in recreation, help predict which interventions are most likely to work and monitor the success of different recreation management initiatives. Evidence based decision making should be at the heart of management across the Forest, not merely for recreation. Although it is acknowledged that the Forest is a highly designated Habitat for conservation, it is relatively poorly surveyed. A Recreation Management Strategy demands a more thorough, cohesive knowledgebase to be able to move forward, particularly in respect to spatial management decisions (as in the canard of Action 4.2. proposing spatial maps absent sufficient data/evidence). This does present an opportunity for fostering useful research, surveys and a more comprehensive understanding of populations of local flora and fauna and their sensitivities. We agree with the element of 6.1. that useful key indicators must be identified and agreed, but would add further that an agreed minimum level or granularity of data is necessary. This would allow pragmatic decisions to be made once some basic understandings have been achieved, avoiding analysis paralysis. We would quibble slightly with 6.2., the emphasis on “trends of activity” over habitat that is (not “might”) be affected. It is impossible to predict the degree to which the actions in this strategy will be achieved, especially given the ambitious nature of some actions that will depend on new resources being found. However, the six organisations on the RMS Steering Group intend to remain focussed on protecting the Forest for the benefit of future generations; they will therefore continue to meet, monitor progress and consider how to respond to changing circumstances. Reviews and updates are the minimum due diligence to any plan. There’s no objection to its obvious inclusion, but this is another disconnect as to why it is necessary for these elements to be rated on a like/dislike scale in an online opinion poll. Many of the “actions” from the rest of this proposal are so vaguely defined that it will be difficult to establish criteria. The promise of a “review and update” after five years seems a bit hollow coming from the Park Authority which in eight years has not reviewed the actions of the current strategy, despite containing the same five year promise. We will continue to insist that a Strategy must contain a Plan with more precisely defined actions, these are mostly ideas and guiding principles about what actions might be done. We welcomed the review of the National Park’s Recreation Management Strategy, the core policy document whose difficult birth plagued the early years of the Park. Little of its 60 actions, including straightforward surveys and a five year review had been achieved. It is to the credit of the Authority officers that they mooted this review, which was accepted unenthusiastically at the March 2017 meeting by the Authority membership in the manner of a recalcitrant child taking medicine. This review is an opportunity to raise the profile of Recreation Management in the Forest, to revisit the extensively publicly consulted upon 2010 Strategy, to create a more focused Plan featuring fully specified high-priority projects to address the ageing infrastructure, education and large increases of use resulting from growth of development on our borders. We have at every step of the way offered the NPA constructive criticisms of both the content and method of this review. All is well because the surveys and proposals have been signed off by the partner organizations (gnomically tautological, often with flourish pointing to their logos). The “actions” of the original strategy weren’t “owned” by the relevant organizations, which need to deliver the objectives. This Strategy will call for the partners and others to volunteer initiatives to deliver actions and objectives which will deliver Recreation Management. All the partner organizations were part of the extensive consultation that produced the existing strategy, to suggest that they never really signed up to those objectives is a ripe nonsense. The objectives of the existing Strategy are “owned” by definition by the National Park which includes that Strategy as one of its core documents. Whilst it’s true that the Park Authority has limited direct responsibilities and powers, it’s incumbent on them to use their influence on those organizations that do, and there is a legal obligation for those bodies to listen and act accordingly. Case in point: the Natural England SAC management Plan 2000 prescribed that campsites in A&O woodlands be shut down with their camping provision perhaps moved elsewhere. The FC are under an obligation to make this happen. The National Park should be monitoring camping provision for the whole of the Forest, including the licensing of “pop-up” campsites which may very well be providing that alternative provision organically. The National Park, obligated by their purpose to conserve, should encourage the FC to fulfill the SAC management plan, and use its leadership and influence to help smooth the way for this action. This is not merely a case in point. It is an Action pledged under the existing 2010 Strategy. Oddly it seems to have been dropped from the new version. Whilst all this should happen because of obligations outside the purview of the Strategy, it is entirely within to help chivvy it along. 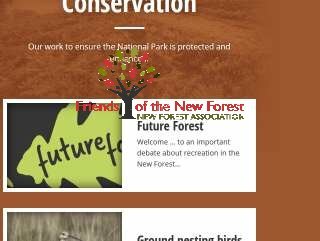 There might be the view that the Friends of the New Forest / NFA should play a longer game, presume that the vague well-meaning mishmash will eventually garner useful concrete proposals fully supported by the partner organizations, and that these will also magically cover the statutory obligations given little or no space in the proposals. Given the lack of follow through on the 2010 plan, and the failure of the Park Authority, both officers and members to take on board our criticisms of this version of the strategy over the last year, we lack confidence in their ability to steer this course. We would fail our duty as a critical friend of the Park if we merely patted them on the back for their effort and patronised them with a “bless!” and perhaps a gold stick-on star. 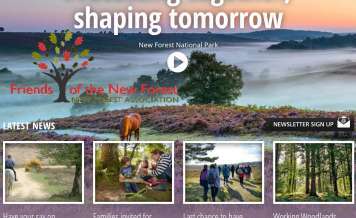 This may risk a chilly relationship between us as the National Park Society for the New Forest, but they are public servants, they are indulging our resources and they should expect criticism for below par output. As little we’ve said has deterred them so far, we can at least demand from them a swift roster of actual plans following on from this survey process which would quell our concerns, and attract our praise, which will be equally vocal and public should they hit the mark. Otherwise we’ll continue to watch as they tread water and ignore all the life preservers we helpfully lob in their direction, mindful that this delays useful and needed action to the detriment of the Forest. We still have faith in the potential of the National Park to deliver a coherent plan which we could support, and what we have before us contains many of the right ideas amongst the blather. The Authority needs to show a willingness to propose specific solutions which could include difficult choices which they would defend publicly. We await their leadership. This is part of our ongoing coverage of the National Park Authority’s review of the Recreation Management Strategy which we ultimately support, but have grave disappointments in the conduct and current proposals to date. Whilst we’re still formulating our detailed response to the Future Forest draft actions survey 2018, we’re sharing these preliminary thoughts. These observations will make more sense if you read the proposals. You may read the full text of the proposals without engaging in the survey with this Adobe Reader pdf version: Future Forest draft actions. Much of it lacks detail and substance. It makes no reference to the National Park purposes or the Sandford principle enshrined in legislation, obliging the park to conserve and enhance natural beauty, wildlife and cultural heritage, and dictating that irreconcilable conflicts with public enjoyment should favour conservation. It drops useful proposals from the existing strategy, including at least one legal obligation to fulfil the SAC management plan. Much is poorly written. Not in plain English. With absolutely no sense of irony, or understanding of the concept of recursion, one of the proposed actions is “Through working groups with appropriate terms of reference or other joint initiatives involving local organisations and user groups, identify and implement the most effective and long lasting strategies to address significant and widespread negative impacts caused by recreation.” I thought that was what we were developing here. Under “Examples of Possible delivery”: “Reduce disturbance of wildlife, feeding of animals, animal accidents, litter, verge parking, fungi picking and negative impacts of dog walking, cycling and horse riding” a list of desired outcomes, which, as if by magic results from the here-to-for unglimpsed illusive strategies that this strategy plans to seek out. “In support of other techniques, use appropriate and proportionate enforcement activities to deter illegal recreation-related activities.” Could be said in two words in two ways either “Stop crime” or “Enforce law”. If anyone has a clue what “other techniques” is euphemistically…..? It frequently supposes that the Forest is obliged to provide a venue for recreation, rather than a place where managed recreation is appropriate. It does suggest, conversely, that there should be “shared responsibility” for recreation impacts and protection of the Forest. There is slight mention of influencing neighbouring authorities for developer mitigation, but not on quelling overdevelopment that increases local populations regularly using the Forest. The ambition to create neighbouring country parks as alternative recreation sites is mooted, but not stated as a specific goal for survey respondents to support. The surveys, by their own admission, employ no attempt to get “a balanced and representative sample”, have been poorly interpreted (including the claim that one proposal had “wide public support” despite positive comment from only 22% of respondents), and so make them a nearly meaningless time-wasting exercise. The new survey only asks for feedback on a sliding scale of agree/disagree on vaguely stated proposed actions. No consultation is made for the stated Objectives or for the Draft Criteria for Judging Recreation Facilities (published on the Park Authority website but not included in the survey). These “actions” may form the basis for future useful proposals for action from the partner organizations, but we cannot judge it on this assumption as there is no onus put on these organizations to deliver these specific outcomes. On the upside it does acknowledge the importance of education, spatial strategies, data and evidence. There is a good mention for increasing the number of “on the ground” staff to influence and educate recreation behaviour, we’d be more heartened if some aspects of enforcement were added to this ambassadorial role. It also tries to address funding issues and floats the notion that Forest users may be charged for some facilities, possibly parking, as a means of funding both upkeep and relevant initiatives to protect the Forest. Overall: Good ideas dragged down by blather and vagueness, amounting to a statement of guiding principles, but not a Strategy. A Strategy should be a Plan with specific actions. This is not a palpable improvement over the existing Strategy, and in some respects an abrogation of responsibility to deliver the actions of that Strategy, which was subjected to a lengthy and thorough public consultation, including the partner organizations, which are obliged to assist the Park in delivering its purposes. This wheel spinning exercise has merely deflected from any continued implementation, although it has helped highlight how sorely we need to manage recreation in a proactive, robust, brave fashion. This is part of our ongoing evaluation of the RMS Proposals, and may be subject to amendment, updates, and further consideration. In particular this is not how we are expressing our opinion n the official response, but a quick snapshot of our thoughts for our members, readers and followers. Error: Error validating access token: Session has expired on Sunday, 10-Mar-19 01:16:56 PST. The current time is Wednesday, 24-Apr-19 23:52:27 PDT.